We all need time away when life seems out of control and the transitions are overwhelming. The Theosis Course is for individuals, couples, and small groups who seek more integrated, healthy, joy-filled life. The course is tailored in time and content to the personal or corporate needs expressed. The Theosis Course is a residential program where men and women can experience an intensive 3 to 5 day transformational program. Directed by Dr. Kenneth Bakken, a physician and priest, and Fr. John Calbom, priest and psychologist, both nationally recognized pioneers in whole person health and healing, this innovative program integrates all dimensions of life in mind, body, and spirit. 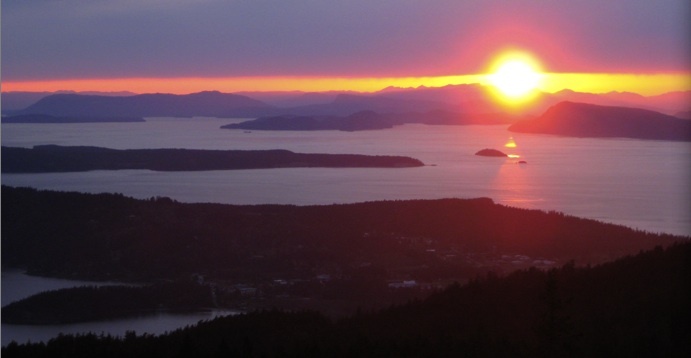 The Theosis Course is held on Orcas Island in the beautiful San Juan Islands. From Sea-Tac International Airport, one may drive less than 2.5 hours to Anacortes and then take a 1 hour ferry ride to the island. One may also take a scenic 35 minute flight directly from Sea-Tac. The program consists of 3 hours of counseling per day, testing as desired, suggested readings, written assignments on structured self-study, therapeutic massage, and prayer and meditation in the Christian context. In addition to the approximately 6 hours a day of organized, individual work, participants may walk along the water, browse through the many art galleries, small shops and restaurants, or simply relax in the room, hot tub or common areas of the inn. The individual fee varies with the design of each program. Program dates and fees are negotiated upon inquiry.